One of my favorite ways to get excited about a big trip is to watch a bunch of movies filmed in the city I’m planning to visit. The filmmakers already scouted all the most iconic, romantic locations, so it’s a great way to quickly get yourself up to speed on what to expect once you get there! Read on to see all of our ideas! 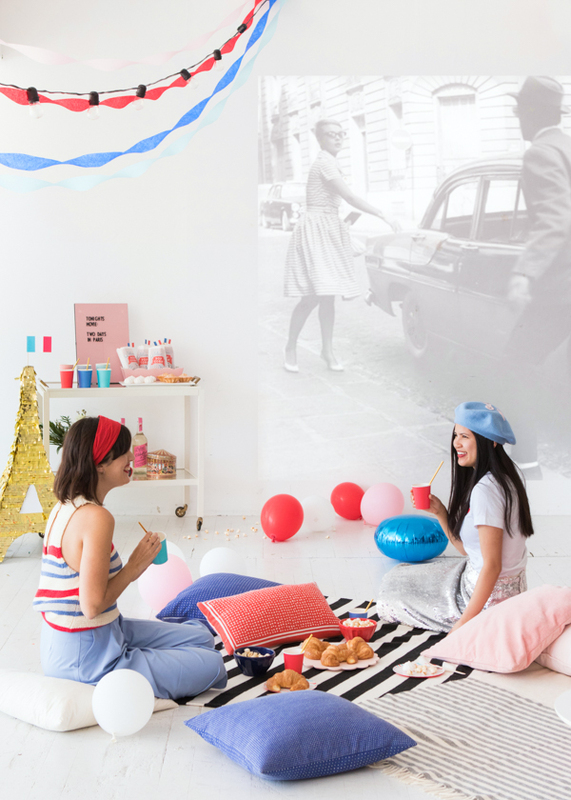 Clearly we have an obsession with color here at Oh Happy Day, so we polled the team to put together a playlist of our favorite, visually stunning movies filmed in the City of Love in anticipation of our trip to Paris. What are your favorite colorful Parisian movies? 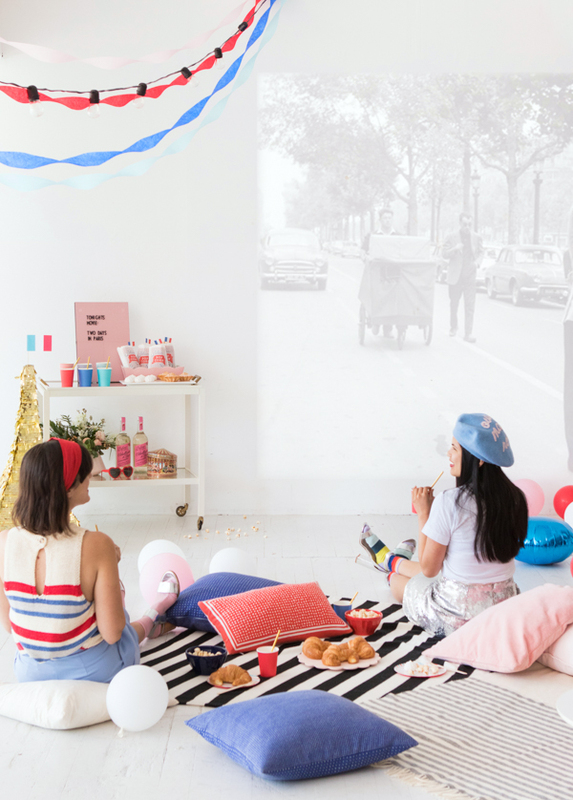 We put together an indoor picnic screening party to get ourselves excited. Lay out a bunch of blankets (striped, of course! ), comfy pillows, and a popcorn snack cart for the viewing. 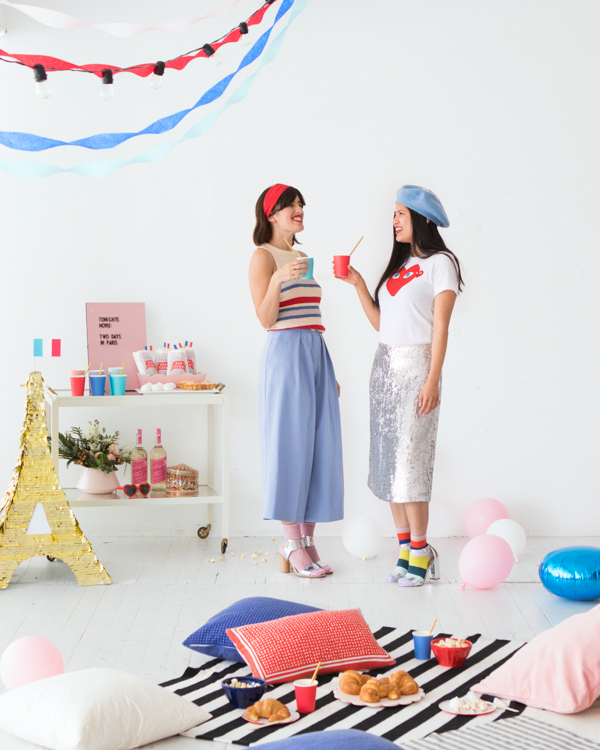 We used these popcorn sleeve printables from the archives and gathered a bunch of our favorite Parisian snacks. 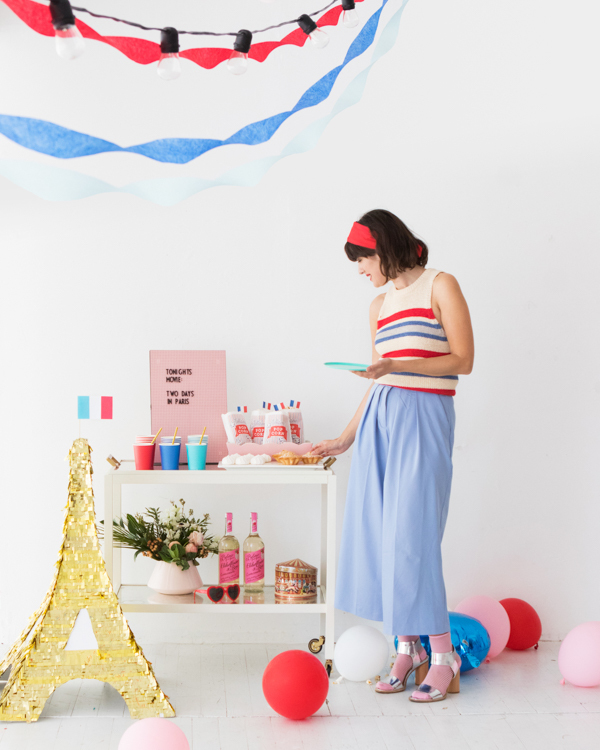 If you missed our Eiffel Tower pinata, you can catch it here! Wow, awesome. You did really an amazing thing. Thanks for sharing this post and for inspiring us that we could also do that. Sounds like a fun night in! I’m doing a Madeline themed baby shower for my sister so this is amazing inspiration! !